PONTE VEDRA BEACH, Fla. - Some of the many memories, after 30 years at the Players Stadium Course at TPC Sawgrass, are starting to cross over into legend. 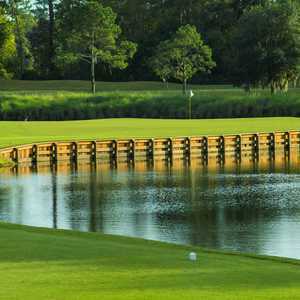 For newcomers who play the Players Stadium Course at TPC Sawgrass, a chance to hit the green on the 17th hole provides a thrill. Sawgrass is home to the annual PGA event, The PLAYERS Championship. Its best known for the island green at the par-3 17th -- perhaps the most photographed hole in golf. Contrary to popular belief, treachery is not waiting around every corner of Pete Dye's most famous design. Who will forget Hal Sutton's shout of "Be the right club today," as he hit a 6-iron approach stiff on the final hole of a 2000 duel with Tiger Woods? Or the second shot by Davis Love III on the par-5 16th from the trees to set up an eagle en route to a final-round 64 in miserable conditions in 2003? Or how about in 1982, when winner Jerry Pate, after the first Players Championship at the Stadium Course, tossed PGA Tour commissioner Deane Beman and course designer Pete Dye into the water before diving in himself, oblivious to the alligators? Some say Dye's Players Stadium Course, once described as "goofy golf," has attained modern-classic status. And now, after a massive renovation, which includes the new, 77,000-square-foot clubhouse completed in 2007, the Stadium Course ranks on most golfers' lists of desired spots to visit. Shortly after Stephen Ames hoisted the 2006 Players Championship trophy, crews destroyed the old clubhouse, and the Players Stadium Course shut down. The golf course received important updates, like new greens with subsurface air systems, new irrigation and drainage throughout the course, rebuilt bunkering and removal of some of the original stadium wooden tiers. The integrity of the original Dye design, though, remained. The clubhouse, on the other hand, underwent dramatic changes. More than twice the size of the old one, this Mediterranean design harkens back to old St. Augustine. It's much more visible than the old building and creates an imposing presence at the finish of the final hole. Now that big golf tournaments like the Players Championship, considered by some as a fifth major, receive 18-hole coverage, we see more of the front nine. And the Players Stadium Course offers a few good ones. No. 4, a short par 4, includes an approach that plays over water. In 2001, Sutton actually holed out two approaches for an unprecedented pair of eagles on the fourth in the same week. The 471-yard, par-4 fifth, perhaps one of the best holes on the golf course, starts with a tee shot over water. Play this dogleg right toward a huge mound on the left side of the fairway, because anything right might catch a huge waste bunker - or worse, the water. Bunkers and a lone palm tree on the right protect the green well. The ninth is also difficult. The 583-yard par 5 crosses water twice, and a grove of trees hides the small green. The golf course starts to get very familiar by the time you reach No. 11, the first of two good, risk-reward par 5s on the back, with water and sand all over the place. Two holes later, you encounter the 181-yard, par-3 12th, site of plenty of aces over the years. From there, even if you've never played the golf course, you pretty much know it. Then, of course, there's the par-3 17th. Many people know the short par 3 originally served as an excavation site for sand during construction of the golf course and that Dye's wife, Alice, suggested water fill the hole around an island green. Now, it's the most recognizable par 3 in golf. Everyone who plays the golf course for the first time anticipates it. Hit the green, and every bad hole prior fades from memory. The finishing hole, a dogleg-left par 4 around water, ranks as one of the most difficult in professional golf. It's critical to find the fairway, and even then, the second shot is no cinch. Anything left, at any point, is wet. As you might expect at the home of the PGA Tour, TPC Sawgrass features excellent practice facilities, including a large, double-ended grass range, putting and chipping greens and practice bunkers. As part of the 2007 renovation, TPC Sawgrass also got a 2,800-square-foot instructional facility with indoor hitting bays. Known as the Tour Academy TPC Sawgrass, it also includes a private practice area and state-of-the-art teaching and clubfitting tools and technology. Visitors are welcome to schedule a lesson. 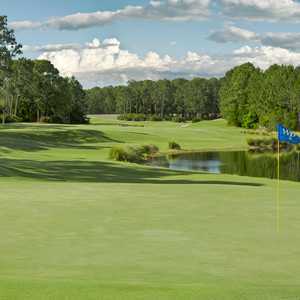 Before 2007, the Players Stadium Course reached pristine condition in March for the Players Championship. The course was overseeded heavily. But now, with the marquee event moved to May, crews do all they can to cultivate the warm-season Bermudagrass and avoid overseeding. I played the Stadium Course in late March, generally not a problem. 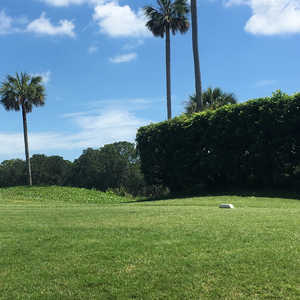 But the Jacksonville area, like much of the country in 2010, endured an unusually cold and lengthy winter, which meant the Bermuda was late to emerge from dormancy. So the greens and fairways remained a little off-color and not nearly as plush as their May condition. That said, the course actually appeared in better shape than I anticipated. And it was still plenty fun. Our caddie, Ben, regaled with the stories of memorable shots from the Players Championship, providing a true feeling that we were following in the pros' footsteps. Good holes fill the golf course. If you're a Pete Dye fan, you'll consider it typical, not overly penal. By the time you work into the back nine, it turns into the golf course you've seen on TV all those years. The last three holes do not disappoint. Like most groups, ours snapped photos on the 17th tee. And the view on the finishing hole, with the magnificent, new clubhouse in the background, has improved dramatically. If you play the Players Stadium Course, take extra time to tour the clubhouse. TPC Sawgrass even employs storytellers, who'll offer a guided tour, and there's a lot to see. The dining facilities are also outstanding. The Nineteen bar and lounge features a popular happy hour with half-price beer and appetizers. And if you know a member, try the fine dining in the Champions room. Executive chef Hector Gonzalez assembled a combination of sea scallops and foie gras with braised short ribs that I won't soon forget. To get the most of your experience, book a stay-and-play package with the Sawgrass Marriott Resort and Spa. It recently underwent a $22 million renovation. The resort includes a 20,000-square-foot spa, four swimming pools and access to 26 miles of beach at the Cabana Beach Club. The official resort at TPC Sawgrass, the Marriott also includes more than 55,000 square feet of meeting and banquet space, 508 nicely appointed guest rooms as well as 24 hotel suites and 80 two-bedroom villas. It boasts seven restaurants, and guests can charge food and beverages from the TPC courses and clubhouse to their rooms.